Østensjø Rederi is not foreign to have sailors ashore at the office or project site when implementing new systems or during a project. – It is crucial for our company to deliver the best product and services, and that requires the best expertise – which in some cases are found among our sailors. We find this to be the smartest way to work and it benefits the company in the long run, says IT & Logistics Manager Steinar Hindal. – Our goal is for all personnel to be linked to this system within the end of May 2019. My main challenge is to visit all vessels and familiarise both shifts with the system, Carl Inge Snyen says. 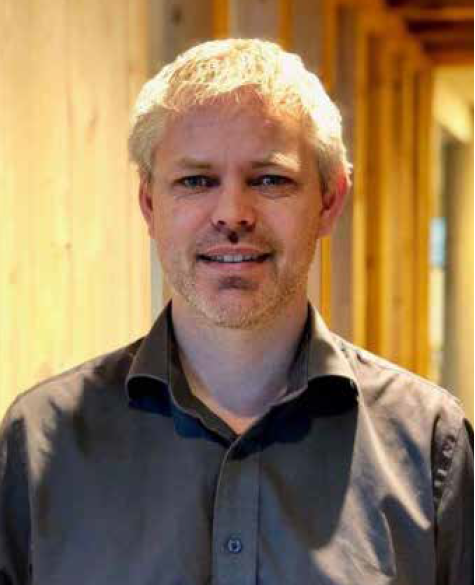 The Master has since the summer of 2018 been working at the office in Haugesund in order to implement a new personnel system, COB (Crew On Board). Not for one second does Snyen hide the fact that the restructuring currently taking place is a leap toward more effective operations and closer interaction between the office, ship management, and crew. Today’s crew system will be shut down as soon as he has completed his tour. – What is the difference between the old and new system? – The new system is much larger, it includes much more than the old system did. The major difference is that we now will use the same system in all departments, HR, payroll and onboard. We’ll all be part of the development, instead of having a system which “per se” worked well administratively, but was static and did not invite to further development. The latter is necessary for being able to create an organization in continuous improvement, he explains. All personnel in the organization will benefit from this simplification. – Do you think it was sensible of management to fetch a project manager from one of the vessels to lead this important work? – Yes, I believe it was very wise. I’m part of a group of employees who are familiar with the requirements onboard. I believe we would not have succeeded in carrying out this project without such insight.